A Lufthansa plane backtracked to Munich after an engine shut down. Many Israelis including a leftist MK were on board. 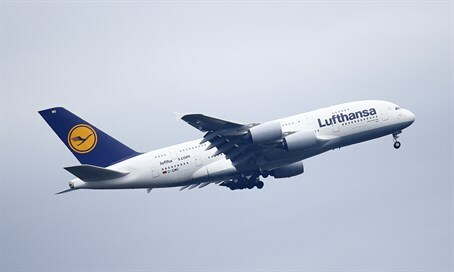 A Lufthansa aircraft, which was on its way from Munich to Israel, had to return to Germany after an engine shut down on Thursday. Many Israelis were aboard the plane, including leftist MK Ksenia Svetlova (Zionist Union), according to NRG News. Testimonies revealed that during the takeoff, one of the aircraft's engines shut down with "an enormous bang" and the plane had to return to the Munich airport. "The passengers were frightened. There was a woman who was screaming,” said MK Svetlova. "The plane was full of Israelis returning to Israel for the holiday." After safely landing the aircraft, MK Svetlova explained how the pilot “seemed agitated” as he came out of the main cabin to calm the passengers. Fire engines and ambulances met the plane on the runway, but fortunately the incident ended with no injuries. The shocked passengers were evacuated from the aircraft and have all been rescheduled to an alternative flight to Israel.